James Houghton married Olive Greenman. 1920 Census 1920 Wilmington, New Castle Co., DE, USA, age 32, shipyard riveter; living with Nora's uncle Thomas Morghan? Eugene Francis Houghton married Nora (?) in circa 1920 age 30 and 28. Marriage Jul 3, 1920 Luzerne Co., PA, USA, July 3, 1920 Luzerne County, Pennsylvania marriage between Owen J. Houghton, born Delaware, age 24, residing in Kingston, Luzerne Co., PA, occupation chauffeur, son of Owen J. Houghton and Margaret Parks of Wilmington, Delaware, AND Fannie C. Bloom, born in Nanticoke, PA, age 23, residing in Kingston, Luzerne Co., PA, occupation domestic, daughter of Wm. Bloom and Lydia Emile (Kivler) of Nanticoke, PA.
Owen J. Houghton Jr married Francis C. Bloom in Jul 3, 1920 at Luzerne Co., PA, USA, July 3, 1920 Luzerne County, Pennsylvania marriage between Owen J. Houghton, born Delaware, age 24, residing in Kingston, Luzerne Co., PA, occupation chauffeur, son of Owen J. Houghton and Margaret Parks of Wilmington, Delaware, AND Fannie C. Bloom, born in Nanticoke, PA, age 23, residing in Kingston, Luzerne Co., PA, occupation domestic, daughter of Wm. Bloom and Lydia Emile (Kivler) of Nanticoke, PA. Owen J. Houghton Jr and Francis C. Bloom were divorced on Sep 13, 1923 at Luzerne Co., PA, USA. Bernard Joseph Houghton married Catharine J. Cassidy in circa 1908 mar 2 y in 1910 census. Bernard Joseph Houghton married Elizabeth Lenema Gerstenberg. Owen J. Houghton married Margaret Parks in circa 1889 mar 11 years in 1900 census. Allen Palmer Houghton married Alice Bissell in circa 1920 both age 25. 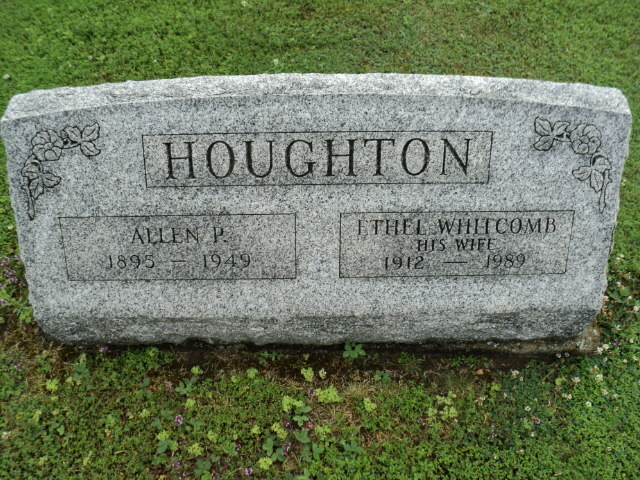 Allen Palmer Houghton married Ethel G. Whitcomb. 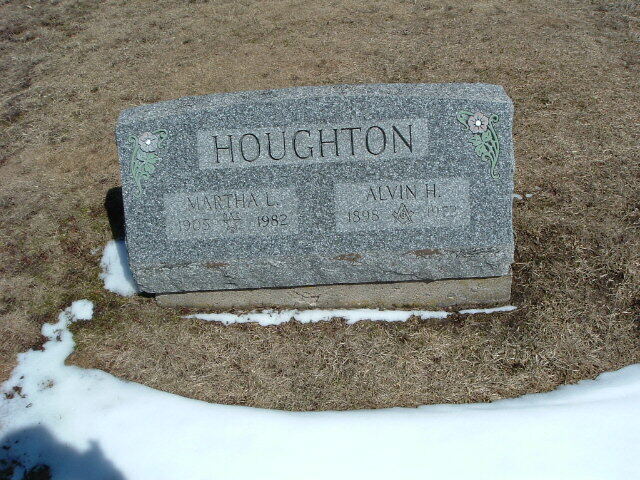 Alvin Hale Houghton married Martha L. Houghton, daughter of Luther Jason Houghton and Agnes F. LaPell, in circa 1927 age 29 and 23; 1st cousins. Hamor Josiah Houghton married Harriet E. Brown. Levi Frank Houghton married Phoebe Clara Mason in Jul 11, 1902 at Elbridge, Oceana Co., MI, USA, age 20 and 20; mar 8 y in 1910 census. 1930 Census 1930 Lake Worth, Palm Beach Co., FL, USA, a justice of the peace, Duval Co.
Frank Merrick Houghton married Myrtle E. Owens in circa 1908 age 35 and 21. George James Houghton married Emily Jane Sparkes. William Laud Houghton married Edna K. (?) in circa 1920. 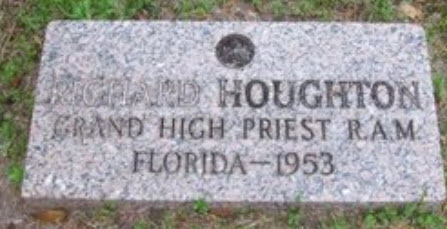 Richard Houghton married Elfrieda (?) in circa 1910. James Nehemiah Houghton married Harriet (?) in circa 1905 mar 5 y in 1910 census; his 1st, her 2nd. James Nehemiah Houghton married Marie Cloaninger age 49 and 28. 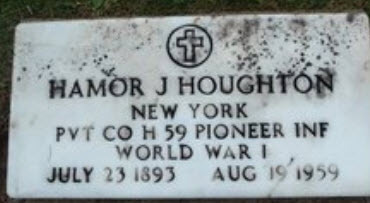 Henry Houghton married Kathleen (?) in circa 1920 age 33 and 30.